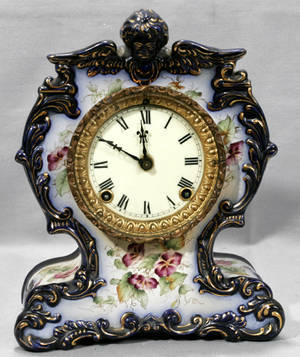 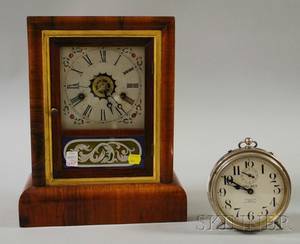 Victorian rosewood veneer mantle clock, 10 1/4" h. , together with an ebonized mantle clock, 10" h.
Atkins Clock Co. Rosewood Veneer Shelf Clock and a Black Painted Waterbury Clock Co. 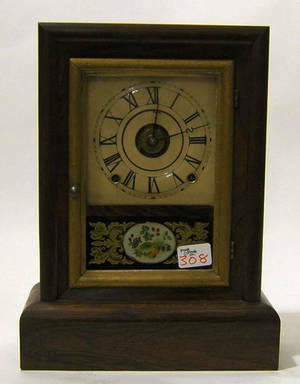 Shelf Clock. 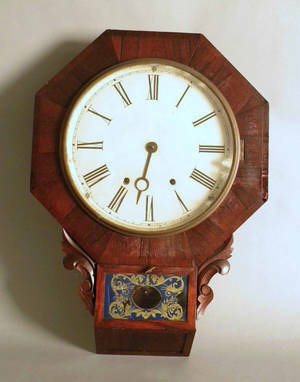 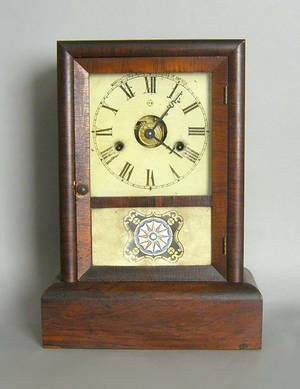 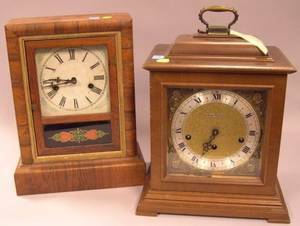 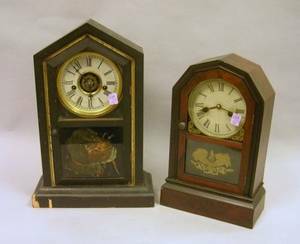 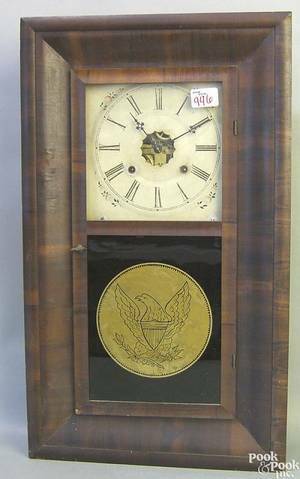 Ansonia Clock Co. Rosewood Veneer Shelf Clock and a Seth Thomas Mahogany Bracket Clock.